When my wife and I moved back home to Detroit a little over three years ago, we chose to plant our roots in Grosse Pointe Park where there’s a bakery, restaurants, bars, locally owned retail and my barber all within a few hundred feet of our front door. But we also found that our public parks on the waterfront are residents-only--you have to show a pass at a guard booth to get in. And our schools and police have struggled to overcome a history of racism. Without the council vote required by our city charter, Grosse Pointe Park’s administration decided in 2014 to close down a major street at the Detroit border, which many of us perceived to be sending a message that we don’t want Detroiters in our community. After significant pressure from Detroiters and its own residents, yours truly included, Grosse Pointe Park partially reopened the street. Graig DonnellySuffice it to say that we’ve got a long way to go toward functioning as a region. But in every challenge, there also lies an opportunity. I propose that we challenge ourselves to re-think the borders that divide us, these arbitrary lines on a map, as places for collaboration that stitch us (back?) together. And, since I live in (one of the five independent) Grosse Pointes, why not start there? The Pointes are relatively small. Approximately 45,000 people are packed into less than 11 square miles for all five cities combined. And we’re getting smaller. Our population has shrunk about 7 percent since 2000. None of our cities makes the list of the top 100 in population in the State of Michigan and combined we’re #38. We’re also getting older, with a median age of about 45 (it was 42 in 2000). The five Grosse Pointes are also pretty homogenous, with over 90% of our residents identifying as White. There is some good news on that front, though we were over 95 percent White in 2000. But if we expand our frame a bit, to include our neighboring communities of Harper Woods and St. Clair Shores, we start to see ourselves as a real population center with about 118,000 residents. That would place us as the fifth largest population center in the State of Michigan, as big as Ann Arbor or Lansing. And seen that way, we’re not as old; our median age is about 42. We’re also slightly more diverse, about 84 percent White and spanning two counties. If we further expand our frame, to include District 4 in the City of Detroit, we’re the second largest population center in the whole state, larger than Grand Rapids and smaller only than the City of Detroit. And we’re much younger, with a median age of 37 – in line with the State of Michigan as a whole. We’re more diverse now, too, with a population that’s approximately 48 percent White. But diverse doesn’t mean inclusive. How do we become more inclusive as we re-think our borders? If we use some of the great community and economic development strategies at play in Detroit right now as inspirations, I think we could get somewhere really interesting on the eastside. Mack Avenue, from Conner Street in Detroit to Nine Mile Road in St. Clair Shores, is 7.7 miles long and touches six cities. By my count, there are well over 500 commercial properties on this important stretch of road. There are places along it where, absent knowledge of municipal boundaries, you would be hard-pressed to tell which side of the street is Detroit and which is a Grosse Pointe. What if we levied a small tax on commercial properties to help improve mobility and walkability on Mack and in the neighborhoods it touches? The Downtown Detroit Business Improvement Zone is doing just this and bringing $4 million to clean and safe programs each year. We don’t have to look far to see other creative approaches to reinvestment, including the State of Michigan’s first Business Improvement District on West Vernor Highway in Southwest Detroit, now about a decade old. And then there’s the Corridor Investment Area that was used to help fund the new Meijer on 8 Mile and Woodward a few years ago. Within this just over 40-square mile geography there are a variety of anchor institutions including three hospitals, several different school districts, a shopping mall and large manufacturing. What if they all banded together to purchase goods and services from toilet paper to cafeteria food from local vendors? By comparison, the 18 anchor institutions participating in Detroit’s D2D program are on track to spend one billion dollars buying goods and services from local small businesses each year. Many regions around the world would love to have the water access that we do in metropolitan Detroit, a resource that we’re not fully utilizing. According to an economic impact study published in 2013, beginning in 2003 the development of the Detroit Riverwalk and other projects along the riverfront had already spurred $1 billion dollars of investment. The Riverwalk itself and a network of other public lands including the Dequindre Cut are fast becoming a model of how to create great urban parks. The key to their successes is being open and welcoming to all. However, the further east you get, the less the public can freely access the waterfront. Every single public park on the waterfront in the Grosse Pointes requires a pass that you can only acquire with residency, neither free nor welcoming to all. By keeping visitors out of our public lands along Lake St. Clair, we are hurting the future economy of the Eastside. Let’s instead follow the lead set with the Riverwalk in and around downtown Detroit. In recent years, we’ve seen some interesting and successful regional efforts including financing for Cobo Hall and the Detroit Institute of Arts. And now we’re on the verge of funding the RTA's transformative plan for regional transit on the November 8 ballot. It’ll take years to build out the system we need, but there’s no reason that we can’t start piloting innovative ideas now. The border between Detroit and these seven Eastside suburbs is also the line between DDOT and SMART service areas, and there are many thousands of people who travel to and from downtown and midtown Detroit for work from the Eastside along Jefferson and Mack Avenues every day – mostly in cars by themselves. There’s enough of an awareness that people want a more urban experience that several of the Grosse Pointes and St. Clair Shores all started operating limited trolley services in the last couple of years, without charging riders anything, on parts of Jefferson, Kercheval , and Mack to take folks between bars and restaurants on Friday and Saturday nights. But none of the three trolley services interact with each other, nor do they service any parts of Detroit or Harper Woods. In the short-term, what if these services all coordinated with each other and included service to potentially hot spots like Jefferson-Chalmers, Mack Avenue between Alter and Cadieux, and even Eastland Mall? In the long-term, what if the dollars being spent on these trolleys were instead used to leverage investment in the RTA? I choose regionalism and I hope that you will too. 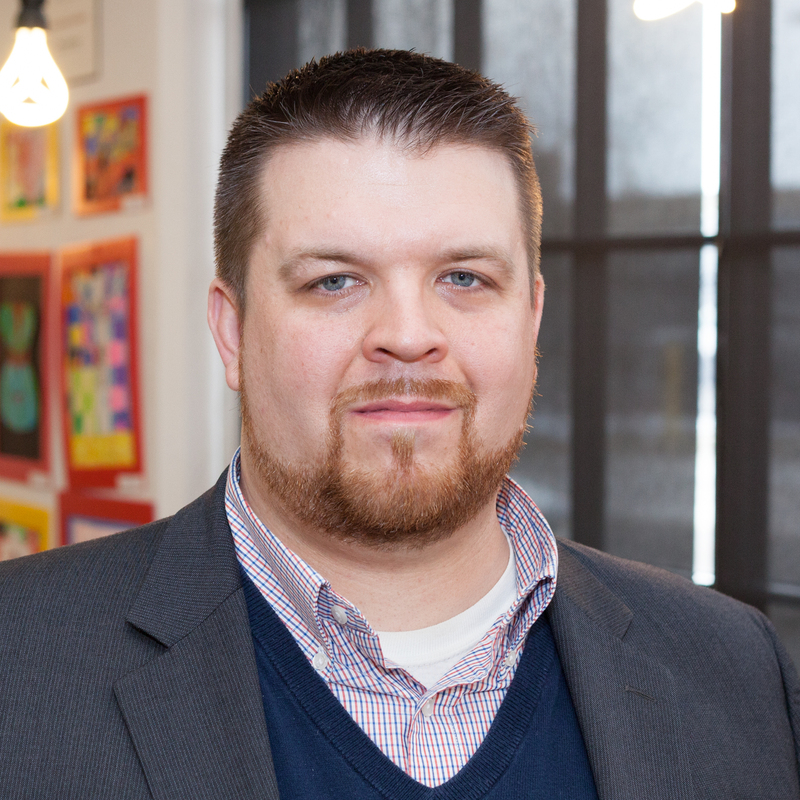 With fifteen years of community development and nonprofit leadership experience in Detroit and New York City, Graig Donnelly is Assistant Vice President for Economic Development at Wayne State University and Chief Strategy Officer at TechTown Detroit. He was previously director of the Detroit Revitalization Fellows at WSU, a leadership development program for mid-career professionals doing the kind of work referenced in this piece. Donnelly, a native Detroiter, holds a Master of Architecture degree from the University of Detroit Mercy and serves on the boards of several Detroit nonprofits. Donnelly is also an executive committee member of the Grosse Pointe – Harper Woods Branch of the NAACP. Image credit to Josh Budionga.